This is a nursing home negligence case filed on behalf of an adult male who lived in Harford County, Maryland. This case was filed in Health Claims Arbitration on August 19th, 2016. It is the 413th medical malpractice case filed in Maryland in 2016. A 73-year-old male is admitted to Genesis Cromwell Center in October 2015 where he becomes a resident after his release from Upper Chesapeake Hospital where he was treated for a urinary tract infection. Genesis Cromwell Center seemed like a good option for the man, as he needed the in-house dialysis treatment. He lives at Cromwell Center for seven months, is then transferred to St. Joseph's Hospital, and dies six days later. This wrongful death lawsuit stems from what happens at the man's stay while at Genesis Cromwell Center. At the time he is admitted, he does not have any pressure ulcers. However, he develops an unstageable sacral pressure ulcer in addition to other wounds that become infected. He has to undergo antibiotic treatment, wound therapy, and debridements, but none of these work and the ulcers ultimately lead to his death. The man's wife brings a claim on his behalf, alleging that her husband was injured and endured unnecessary and preventable pain and suffering. This is the third bedsore lawsuit we have seen against Genesis in Maryland in 2016. You can get details of the other claims below. There is no question that Genesis has a lot of facilities in Maryland but this really is a lot of bed sore claims. The Cromwell Center facility has struggled to provide quality patient care. It has the lowest possible Medicare rating. We see great nursing homes provide awful care. But if you look at nursing home lawsuits, a disproportionate share is against poorly rated nursing homes. In 2006, the Centers for Medicare and Medicaid Services determined that hospital-acquired stage III or stage IV bedsore are adverse patient safety events, or "never events," that could reasonably be prevented by implementing evidence-based prevention guidelines. This looms large if the Complaint is accurate that the man had no bedsores on admission to this Genesis facility. Medicare concern is also very practical: the average hospitalization cost is over $43,000. 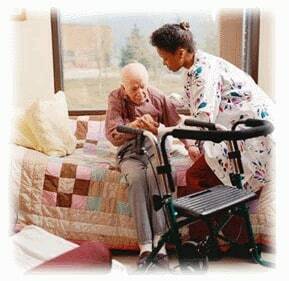 Have you suffered as the result of negligence in a nursing home? Our law firm may be able to help you get the compensation you deserve for the needless harm done to you. We have a very long history of getting results in nursing home cases in Maryland, earning large verdicts and settlements. Find out what we can do for you. Get a free online case review or call us today at 800-553-8082 to speak to a caring nursing home attorney who can help you. What symptoms are nursing homes looking for to prevent bedsores?